Ken and I can hardly believe we've been married for 35 years! 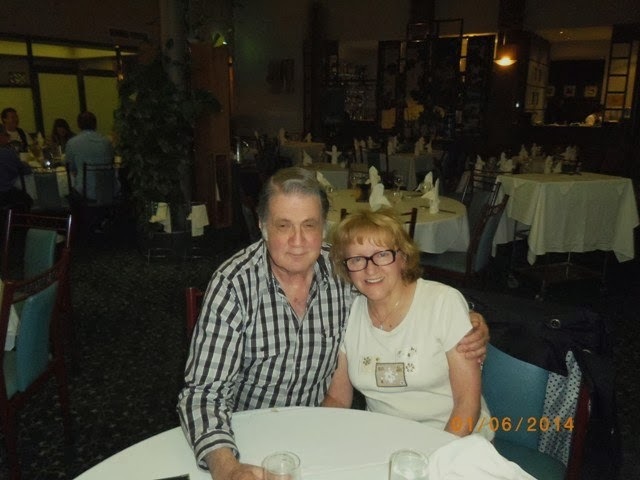 Last week his cardiologist congratulated us and said "Twelve years ago if you had told me you would still be here to celebrate your 71st birthday and this anniversary, I wouldn't have believed it!" 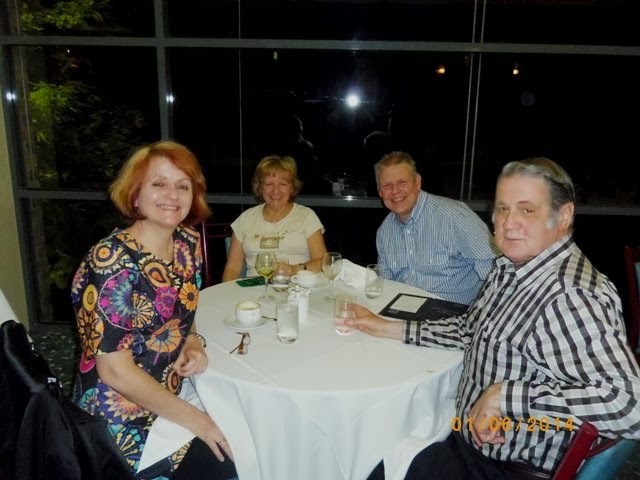 We celebrated by going out to dinner at our favourite Chinese restaurant in Eltham - Noble House. We were joined by our long time friends Mark and Louise who live nearby and often join us for celebration dinners such as this. If you think we look drunk, you're wrong - we are just tired and full of food! We had a banquet dinner - great food, about 8 courses, small serves about 15 minutes apart, but by the end of it, we were all absolutely stuffed! Only one bottle of wine between us girls, and a beer for the guys. Congratulations! It's nice to see there are still couples who can be happy for 35 years. Here's hoping you have many more.